1...Heather knows the meaning of compassion and the magnitude of death, destruction and broken lives left behind by the animal agriculture industry. Be prepared to feel and to feel very deeply once you get a glimpse into the lives of some the billions who have no worth other than what those in the industry can get for their body parts. Heather really brings home the tragedy of an industry that can and should be seen as a murder machine. Her beautifully written poems about the lucky ones who have found refuge in sanctuary gives hope while the poems of the ones in the hopeless situations strengthens resolve to make a difference by keeping animals off your plate. These poems have the ability to open eyes and change lives. 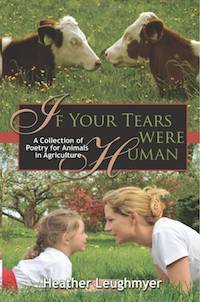 2...These poems sure are a powerful way to convey the plight of animals subjected to the heartless machinations of the agriculture industry. The verses will bring out the empathy in most anyone (I wouldn't want to meet the person unmoved by "Mother's Day"). This book (I have the paperback version) will leave a lump in your throat, an opening in your mind, and also hope in your heart. Expertly written poetry and poignant photos send a strong, important message about the need for compassion towards animals saddled with the " livestock" label. 3...Heather Leughmyer writes depressing poetry. 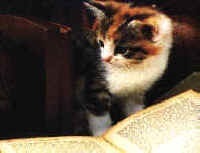 It is hard for it not to be given the subject matter. But it is good that someone is out there to wallow in the misery so as to give voice to the victims of the great hell of all time. A book for those who need a dose of empathy and/or feel too happy and want to reduce it. 4...Heather has poured her heart and soul into her poetry in the inhumane treatment of factory farm animals and there treatment, if you are a compassionate person or a person who loves life and not a cookie cutter person who listens to only to selected sound bites, this book will move you as it did me. 5...Heather writes beautifully about a sad subject. Her words have the power to change minds though by giving readers a feel as to what cruelty goes on in the agricultural world. One of my favorite books on animal rights already!